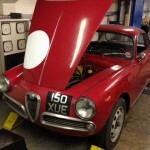 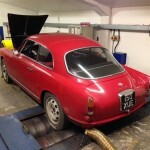 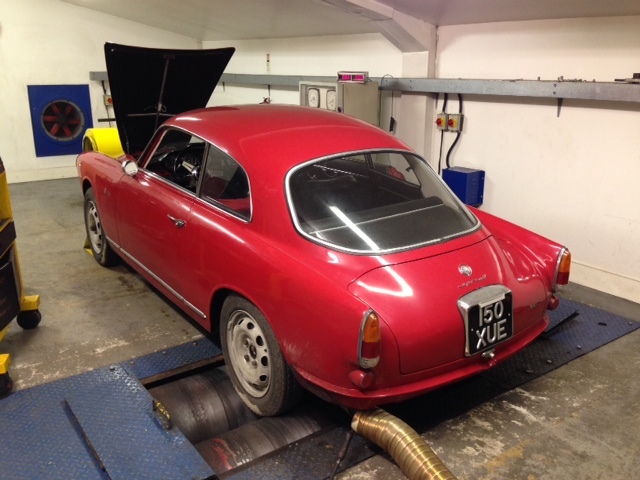 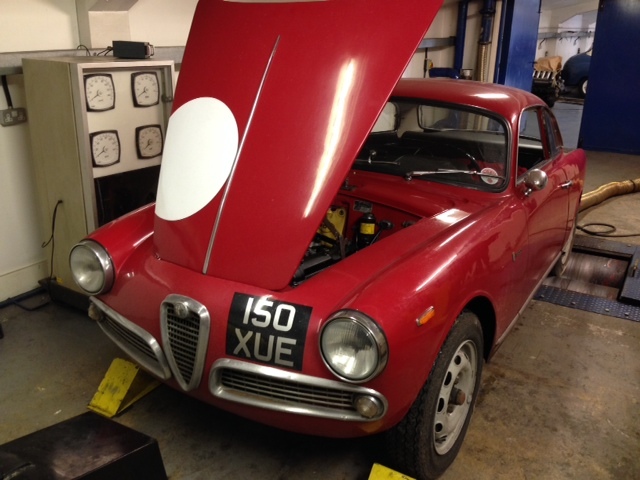 A beautiful little Alfa Romeo Giulietta Sprint came down from London running rich with very poor fuel consumption. 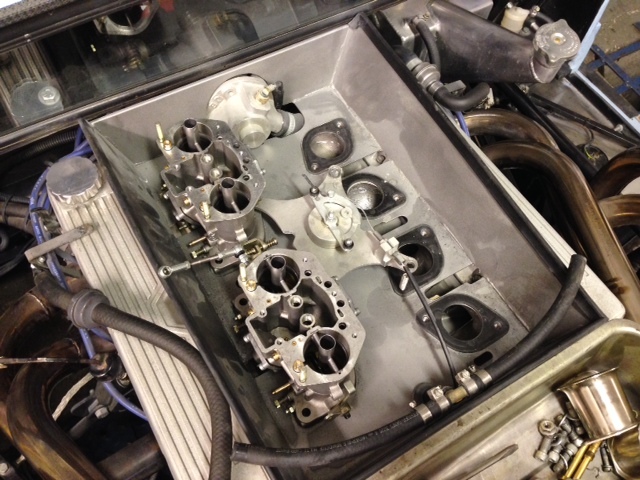 Graham re-jetted the twin 40 DCOE Weber carburetors to achieve a proper state of tune. 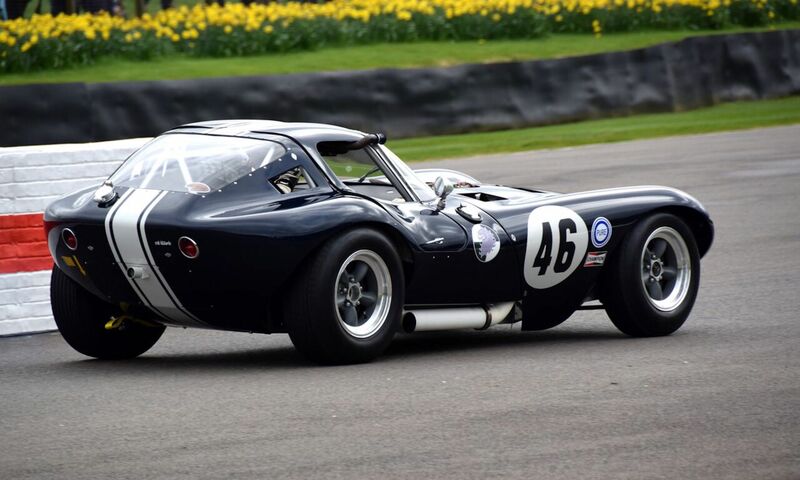 Also on the rollers was this GT40 replica fitted with Rover V8 and four Weber IDF’s. 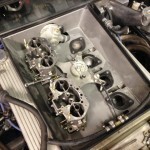 Due to being sat for some time the carburetors required a strip down and clean before they could be setup on the dyno.